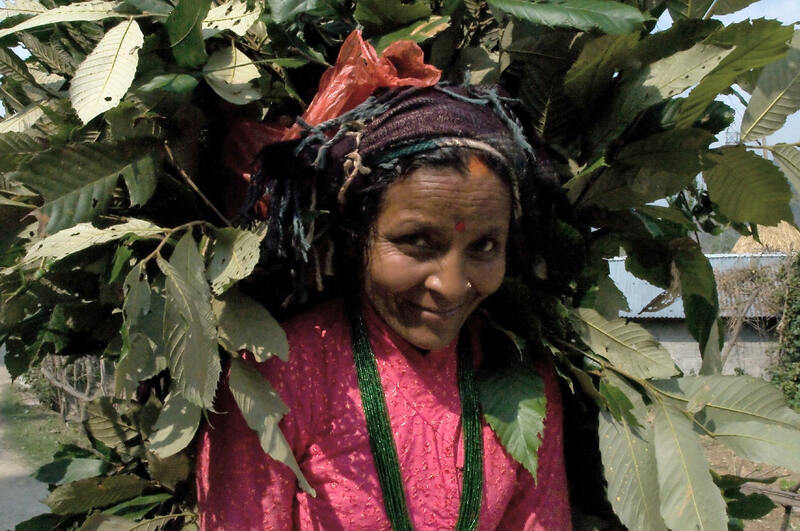 In Tibetan, the Sanskrit name Parnashavari meaning "leaf-clad goddess," is pronounced like Loma Gyunma. 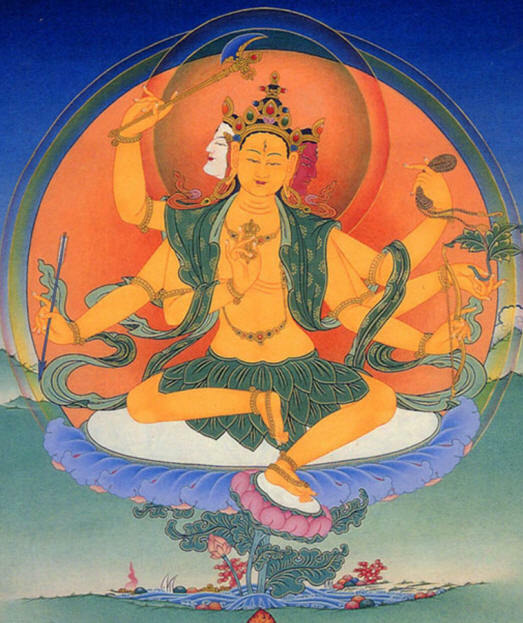 Like other forms of Tara, Parnashavari Devi is viewed as the Wisdom of Amoghasiddhi, and a manifestation of the Compassion of all Buddhas. She is invoked to protect us from contagious diseases. Meditation on Parnashavari and the recitation of her mantra (see below) are believed to strengthen one's resistance to contagious diseases. One invocation declares that she "prevents all epidemics that torture . . . beings." < Some attributes, either broken or stolen, are absent from this old bronze image. In the Sadhana-mala, #149 describes her as green, with Amoghasiddhi at the crown, having a blue right face and a white left one. Her expression portrays an "angry laugh." 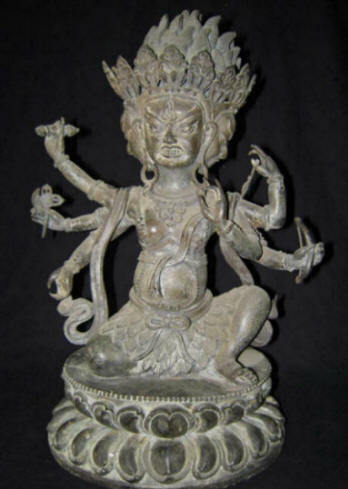 Sadhana #150 describes Parnashavari Tara with 2 arms. Parnashavari is also described as an ogress (Skt. pisachi ) with a protruding belly, who is youthful, clad in a tiger-skin and garment of leaves, and trampling diseases and pestilence. The Ekalavira-Chanda-Maharosana Tantra suggests that, as an ogress -- a flesh-eater -- offerings of foods such as roasted fish are suitable. Some of Parnashawari's other epithets are: Sarvamariri-prashamani -- healer of all epidemic diseases, and Sarvashavaranam Bhagavati = Lady / Goddess, Healer of the Shavari. Ritroma's epithet means "Mountain Mendicant [wandering yogini]" and she is the 20th of the 21 Taras. OM, PISHACHI PARNASHAWARI SARVAJORA PRASHAMANAYEH, SWAHA !